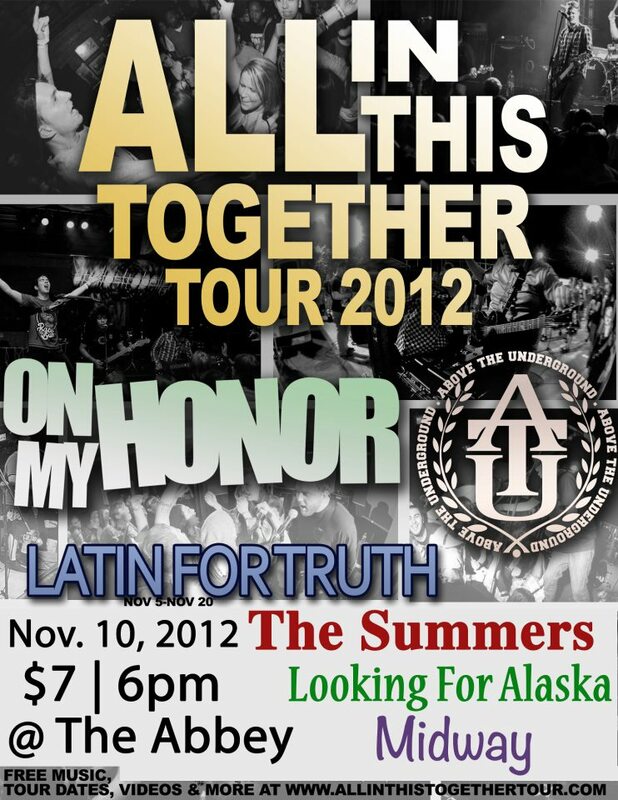 The All In This Together Tour is stopping by Memphis on Saturday, November 10 for a show at the Abbey (1015 S. Cooper Street) in Cooper Young. This will be a night for your pop-punk dreams — the tour includes bands On My Honor, Above the Underground, Latin for Truth, The Summers, Looking for Alaska and Midway. Cover is just $7 for six bands – that’s a little more than a dollar per band, y’all. Doors open at 6 p.m. For more information, check out the Facebook event here.